This is my new little friend “Cleo the Cat”. She likes to hang out in the bookselves and spy on interesting new characters. I made Cleo out of some vintage varigated yarn that I found at a thrift shop and she is wearing a little off white t-shirt with vintage buttons sewn on the front. I made the pattern as I was going, but if you’d like the pattern i’ll try and scratch one out. Cleo even looks vintage. I love it! 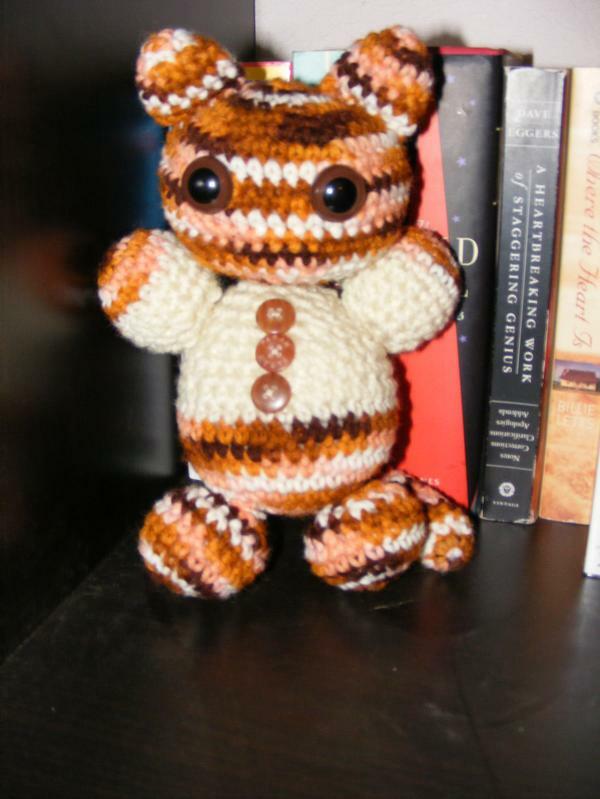 She is adorable, would love a pattern…please?